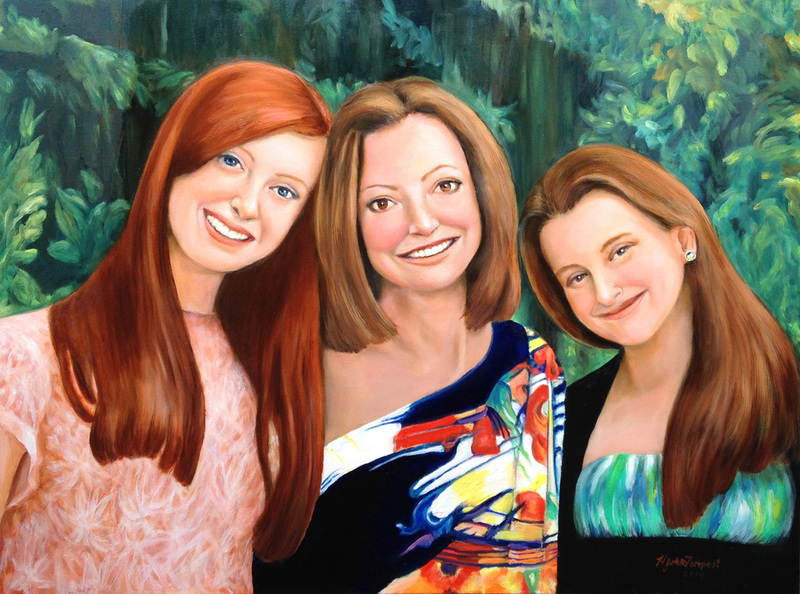 Commission Husidio John Tempest to create a visually striking, hand-painted fine art portrait of you and your loved ones. With more than 35 years of experience, Husidio John Tempest's work exemplifies quality and expertise. Join one of the many who have added a fine art portrait to their personal collection. Once Husidio John Tempest acquires a photo (or several photographs) of the subject, he studies them to capture the subject's most accurate depiction and personality. On rare occasions, the subject may choose to sit for a final observation, but this is typically only upon request due to its extensive nature. HJT then under-sketches the portrait before beginning to paint it. Next, the process entails building up the canvas with pigment (impasto), as well as glazing it in the final stage. This brings greater nuance refinement. Finally, the portrait is carefully wrapped, crated (if necessary), and shipped out via FedEx or UPS to its destination. If the destination is local, it is hand-delivered. 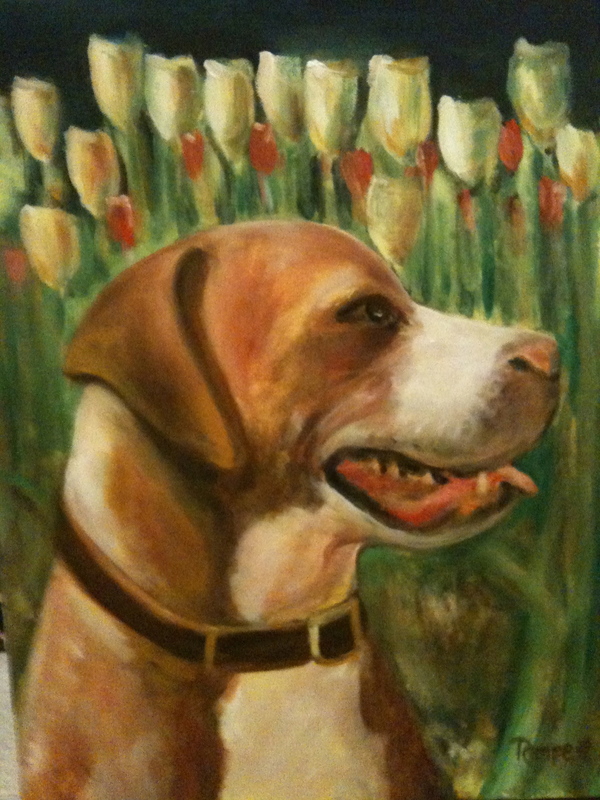 Your portrait will exude the professional finish of a true work of "fine art." The materials used are only of the highest quality. Testaments from Husidio John Tempest's many highly satisfied customers, as well as 35+ years of experience, attest to his skill and credibility. With each stroke of his brush, HJT captures the spiritual persona of each subject. 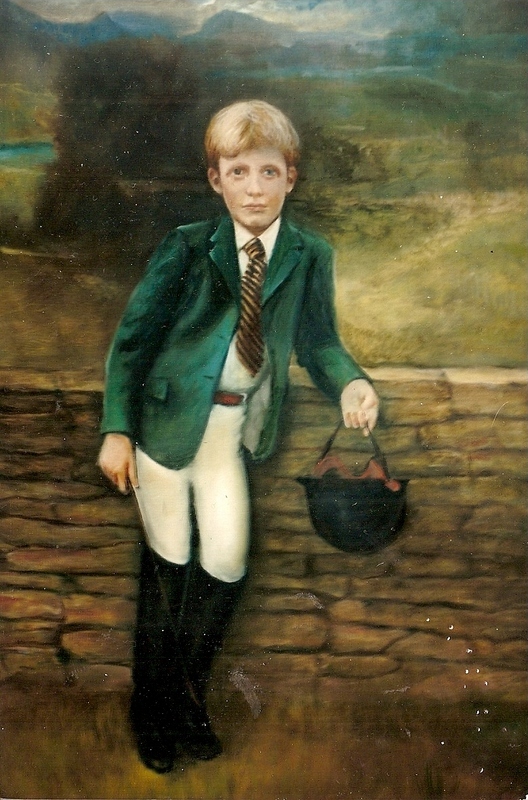 A Tempest portraiture in oil is much more than a mere photo representation. Husidio John Tempest has painting in his blood. Born in 1953 from a long lineage of artists, Husidio John began creating art nearly 40 years ago while spending the summer with his family in Venice, Italy. A few years later, the desire truly took hold while studying art history at the University of North Carolina at Chapel Hill. “It wasn’t like a voice, but an inner realization that I had to paint,” is how he put it to a student reporter for The Daily Tar Heel in 1980. His artistic heritage begins with ancestor Antonio Tempesta, the Italian painter and engraver born and trained in Florence in the mid-to-late 1500s. Painting in a variety of styles, Tempesta’s works can be seen at the Vatican Palace, Palazzo Vecchio, the church of Santo Stefano Rotondo, as well as many other places across Italy. He was also regarded by Michelangelo Merisi da Caravaggio as “one of the six greatest living artists in Rome and Florence in the 1600s.” Tempesta influenced many artists from contemporary Peter Paul Rubens (for his “horses”) and Giorgio de Chirico, unquestionably the greatest 20th Century Greek-Italian artist. Known as the Father of Surrealism and Metaphysical painting, de Chirico’s paintings and sculptures are found throughout the world in museums and collections. Husidio John’s father, Gerard Tempest, was a protégé of de Chirico and known as the “Father of Abstract Spiritualism.” Born in Italy, he immigrated to the United States in 1929, but always stayed connected to his Italian roots and even has a permanent collection in the Vatican Museum. It was in his father’s Rome studio where Husidio John began his professional career. Situated near the Pantheon and overlooking the central part of the city, Husidio John created his very first oil painting at a time when his father’s long and close friendship with Giorgio de Chirico enabled him to spend many evenings at the Piazzo di Spangna, the residence de Chirico shared with his wife Isabella. 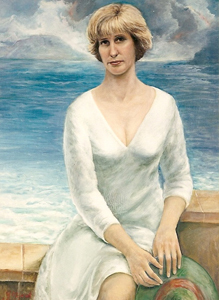 This close connection to the surrealist painter and sculptor led Husidio John to becoming an agent for de Chirico graphics and sculptures in the United States, successfully establishing shows at the Fogg Museum at Harvard University and the Metropolitan Museum of Art in Coral Gables, Florida. After completing many portrait commissions under the tutelage of his father, Husidio John studied briefly under the two portrait painting greats, John Howard Sanden and Nelson Shanks, at the Art Students League in Manhattan. In Husidio John’s career, he has painted many portraits of local interest including Carroll Hill Stone of the original CCB family, 7-Up heiress Patty Downey, Frank and Betty Kenan of Chapel Hill, and ACC Commissioner John Swofford and wife Nora. More recently, he has also entered a new period of painting abstract horses, much like his ancestor Antonio Tempesta. Thank you for your interest in Tempest Portraits. Please fill out the form below, and we'll get back to you within 1-2 business days.